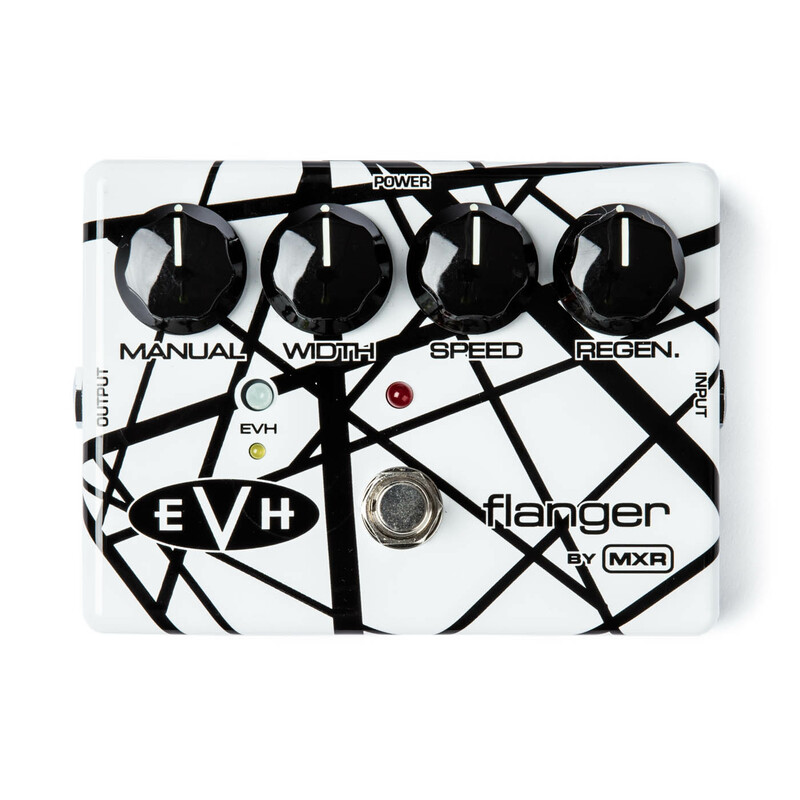 The MXR EVH-117 effects pedal delivers timeless Van Halen flanger sounds, with an EVH Switch for instant ‘Unchained’ sound. Manual, Speed, Width, and Regeneration controls. Die-cast housing with EVH striped graphics.